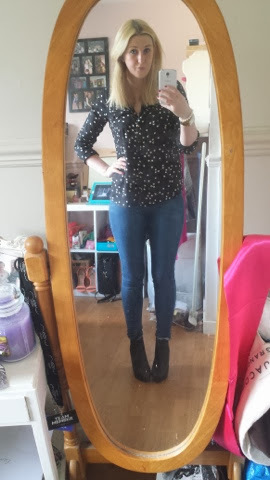 I love the autumn and as soon as it turned September I was swapping all my summer essentials for beauty products that were more seasonal. I have been loving a few products this month and have discovered some amazing beauty treats on my visits to Boots. For skin care I have been loving the Champneys Super Rich Cleansing Balm, which I did a blog post on. This product is a treat to use and it gives great results. My skin just feels amazing and any blemishes I had are gone. 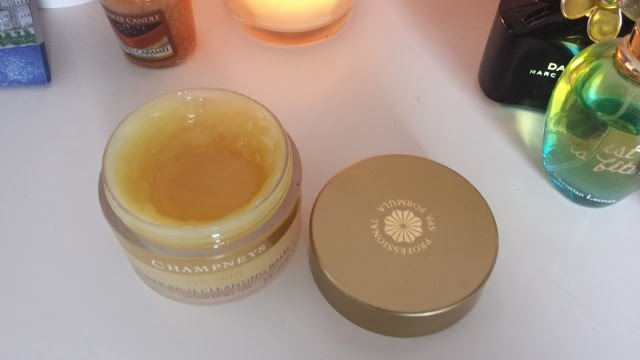 A little goes a long way of this cleansing balm and I have barely made a dent even though I have been using it every night during my skin care routine. I have been following my cleansing balm with the Caudalie Divine Oil. This is another favourite that has made a difference to my skin. The Divine Oil makes my skin feel nourished, moisturised and healthy. I would recommend using this every other night or twice a week as your nightly moisturiser, using it more often could cause break-outs. I have decided that I need to start washing my hair every other day instead of everyday because I think it makes my hair greasy faster. 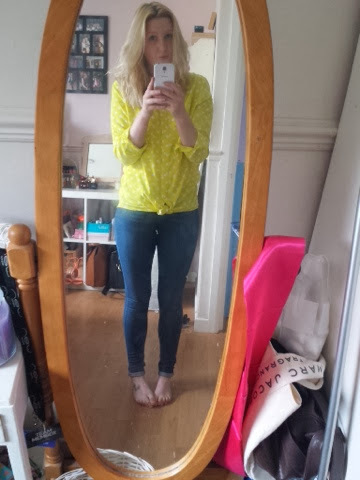 I picked up the Batiste Dry Shampoo in Blush and I have really been enjoying this product. Not only does it de-grease the hair it also adds volume which I am in much need of. My hair is super flat and I find it hard to puff it out and this does the trick. The formula of the Chanel polishes is not great but I love these colours so much I am willing to overlook that and just paint over unsightly chips. 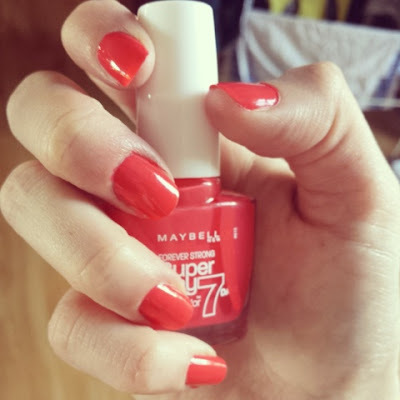 The Maybelline Forever Strong Super Stay nail polishes have an amazing long lasting formula and I can not fault this shade! 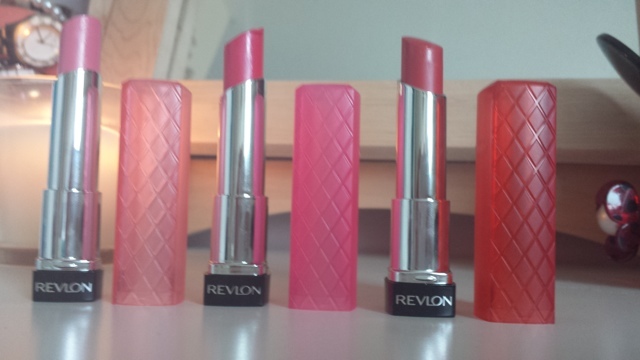 The lip product I have been loving this month is the Revlon Lip Butter in Strawberry Shortcake. I swear I have worn this shade every day. It is the perfect shade of pink that can be easily worn throughout the day. If in doubt of what colour to put on my lips I pick up this beauty! The formula is very pigmented for a sheer lip butter and it is very moisturising! After Essiebutton raved about the Soap and Glory One Heck of a Blot powder I knew I had to get my hands on it. This powder is incredible. Most of my foundations and bases have a very dewy finish because that was the look of the summer. However, as it is now autumn and the glow needs to be toned down a little, I have been reaching for this powder to matte up my face. It's very finely milled and leaves a beautiful finish. 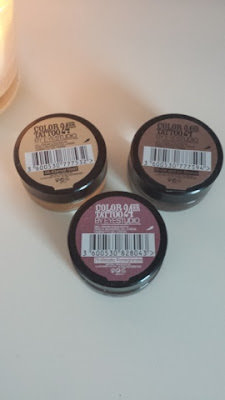 I love the Maybelline Colour Tattoos and I was on the hunt for the Rose Gold shade. After looking EVERYWHERE I picked it up in Carlisle. I still favour On and On Bronze as my Cream shadow of choice but I have been enjoying the Rose Gold colour for evenings and dinner dates with my friends. The colour is very pigmented and quite shimmery which I like for an evening look. This September I have been back to loving my brows and filling them in to their full potential! 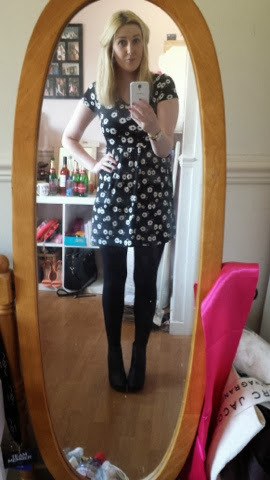 I have been using the Benefit Brownings kit to make my eyebrows stand out in the crowd and I love it. I prefer using wax and powder to fill in my brows rather than a pencil, and I have it in the shade light. The colour is a perfect match to my own eyebrows and I think that my look always looks complete when my eyebrows are filled in correctly. My final favourite of the month is a cream blusher from MUA. This blusher cost me £2 which I think is the bargain of the year. My favourite shade is Dolly which is a lovely peach colour and I have been wearing this when I have chosen to do a more darker eye look, to contrast with a natural cheek colour. I am so impressed with the quality of this blusher when it only cost £2! 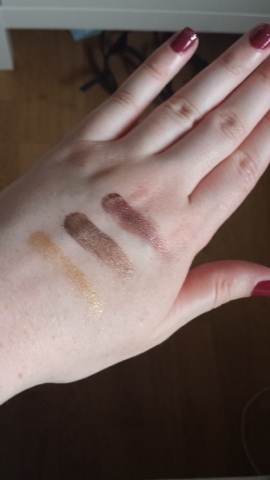 There is a nice shade selection so you should check out MUA at Superdrug. One of my favourite things to do when I'm waiting to start work, is to browse the shelves of Boots for treats and special offers! On one of my many visits to Boots I discovered the Champneys range and better yet, there was a special offer! 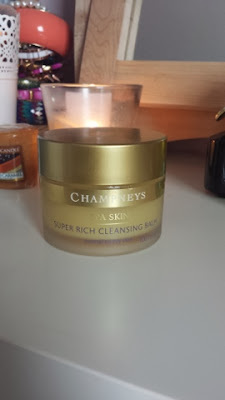 I picked up the Champneys Super Rich Cleansing Balm which I think I got for around £8. 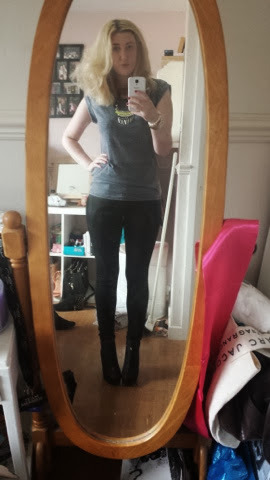 (normally £13) I was really excited to try this product and I've been using it for about 3 weeks. I use it as my nightly cleanser in my skincare routine and I've really enjoyed using it. This super rich cleansing balm contains avocado, jojoba and natural floral oils. This balm deep cleanses, tones and exfoliates in one indulgent treatment. It is recommended for normal to dry skin types but I think it is a cleanser for all skin types. I take a little scoop of the balm into my hands and rub it in, then rub it into my skin. It is slightly abrasive which helps to lightly exfoliate my skin. I then use a flannel covered in warm water to remove the balm and then pat dry my skin with a towel. After use my skin feels amazing and it does feels like it has had a deep cleanse! This balm makes me look forward to my nightly skincare routine. I have noticed a big difference in my skin since I've started using it and I would recommend picking up this bargain balm! 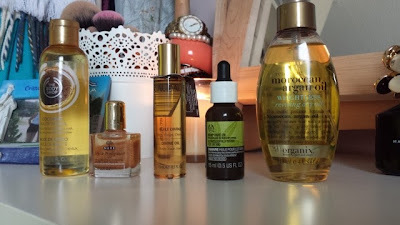 Beauty oils are receiving a huge amount of hype right now but to be perfectly honest with you, a few months ago I had no idea how to use these oils, especially in terms of beauty. 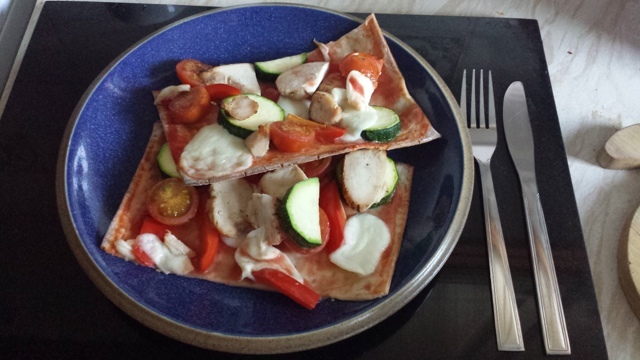 I use oil to fry a prawn stir fry so I was a bit overwhelmed by all these other beauty related uses! You can get multi purpose beauty oils that can be used for face, body hair, hands... You name it these oils offer benefits to you! There are also oils that offer benefits or treatments to a specific area, such as hand and cuticle oils. I have 5 beauty oils in my ever growing beauty collection which include 3 Multi purpose oils, a hair oil and a hand and cuticle oil. The Body Shop Coconut Beautifying Oil: This is probably my most used beauty oil from this lot! I use it every second day when I go for a shower or bath. I like to use it after using a scrub to add and lock in moisture to my skin and this oil leaves my skin feeling amazing! I also use it as an alternative to shaving foams for my legs (as I am allergic to most shaving foam products) and it leaves my legs super smooth! It also smells delicious too! Nuxe Multi-Purpose Dry Oil: I got this Nuxe Dry Oil from a Glossy Box. It says that it is for face, hair and body and that it contains 6 precious plant oils. This oil contains little bronze shimmers throughout it and I enjoy using it on my arms and legs as a moisturiser as it not only adds moisture but also a little shimmer and that's always good. I also enjoy running this through the ends of my hair before I use my hair dryer. 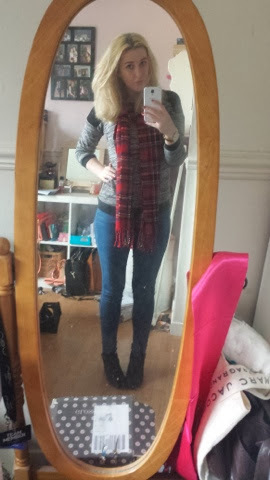 Oils tend to give my hair a healthy shine without making it look flat and greasy! Caudalie Devine Oil: Another Glossy Box treat which I have added to my wish list to purchase the full size bottle. This does indeed smell divine and it is my favourite oil of the group! I use this oil on my body, in my hair and on my face! I am very wary about what I put on my face and I was pretty apprehensive about putting oil onto my face, especially when I am prone to an oily T-Zone but I thought I would give it a try! I incorporated the oil into my nightly skin care routine. 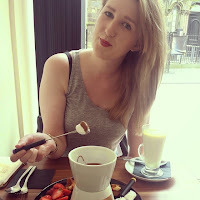 I used my L'oreal Micellar water first to remove my eye makeup, I then double cleansed my face using the Champney's Super Rich Cleansing Balm and the Una Brennan Tea Flower Deep Clean Purifying Cleansing Wash. I then applied the Caudalie Divine Oil all over my face using a cotton pad and just left it to soak in over night! In the morning my face feels really clean and super soft! Recommend this! The Body Shop Hemp Hand Oil: I have had this hand oil for a while and when it runs out I would repurchase it! I have extremely dry hands and i find using hand sanitizer dries them even more so I picked up this Hemp Hand Oil from the body shop! I like to use hand creams during the day and I always keep one in my bag but I like to keep this little bottle next to my bed! I use this every night to combat my dry hands and I really think it helps! It comes with a little pipette too, so you don't use too my product! Oragnix Moroccan Argan Oil: I bought this when hair oils and Argan oil became a big trend in the beauty world! I like how it's a spray so that I can spray the product directly onto my hair and it does smell very luxurious! It says it will "infuse hair with a sheer vail of shine, giving colour and highlights a multifaceted glow, while it helps reduce split ends and tames fly away frizzies" I do enjoy using this oil and its probably the hair oil I pick up when I don't have a lot of time to do my hair in the morning! Are there any beauty oils that you would recommend? I am the worst at making myself dinner, either my dad cooks me something he's having or it'll be a microwaveable meal for one please! 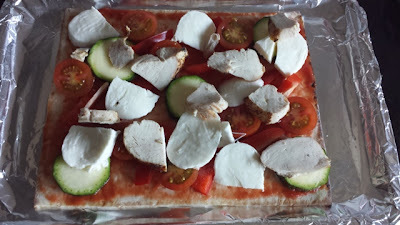 So I have been scouring Pinterest and cook books for easy healthy meals and I came across this ultra simple pizza recipe on the back of my Gluten free wrap packet! 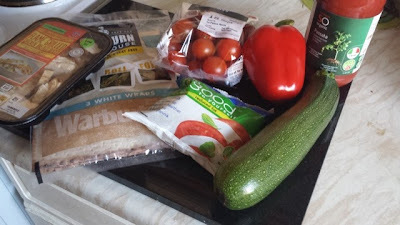 I made a shopping list of all the things I needed and went to Sainsburys to buy my healthy ingredients. 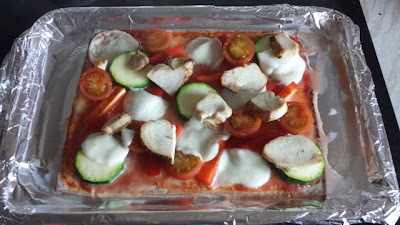 Pre heat the oven to 180. 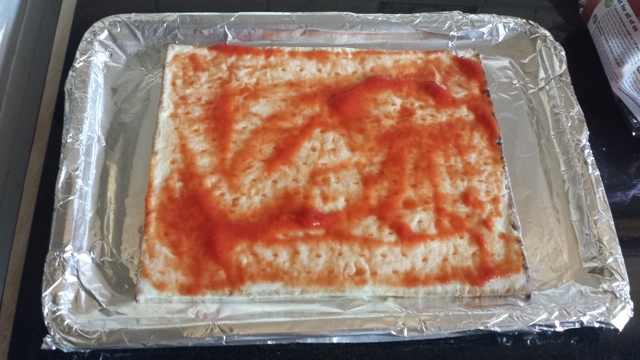 Spread the passata sauce onto the wrap and then cover your wrap with all the tasty treats to create a pizza. Pop your pizza into the oven for 10 minutes and then serve. 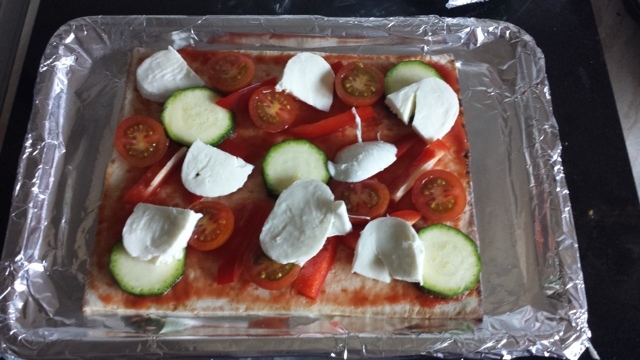 Delicious, quick and easy to make! 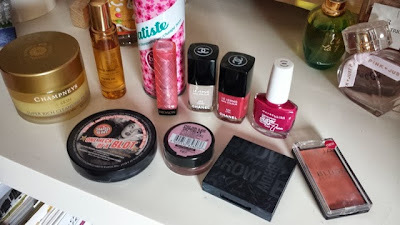 I love reading beauty blogs and being drawn into the hype of a product! The feeling of finally owning that hyped up product is one of my favourite feelings in the world. 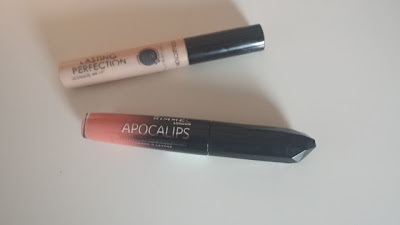 I am crazy though to be honest, when I read an amazing review of a product, all I can think about is that product, until I have it in my make-up collection! These are a few products that are worth the hype, with a few that are not thrown in. I have the shades, On and on Bronze, Eternal Gold and Metallic Pomegranate. These are amazing! For a high street product, the quality of these cream eyeshadows are incredible. 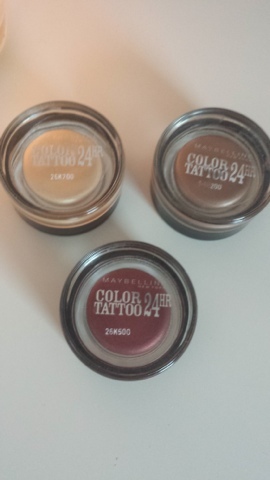 They last a long time on the lid, do not crease, super pigmented and versatile. The colour range is beautiful and I need to get my hands on more shades. 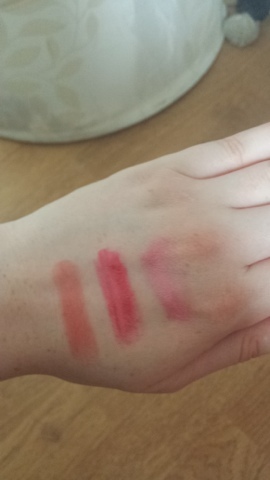 I have the colours, candy apple, sorbet and strawberry shortcake. There is so much hype surrounding these but I wasn't 100% convinced! I had always considered myself a matte lipstick girl and these never really tickled my fancy. But... I watched Essiebutton on YouTube and she was wearing the most loveliest shade of red and it turned out to be the Revlon Lip Butter in Candy Apple. I bought this one first and I was hooked! My new favourite lip colour of the moment is Strawberry shortcake which is light pink. These lip butters are sheer but very pigmented and you should try these! I own Mint for Life and Hot Salsa. I was looking for the perfect mint this summer and a blogger recommended Mint for Life. This shade is perfect and has probably been my most worn nail polish of the summer! My favourite part about this nail polish is that it claims to last 7 days and...it does! I also picked up Hot Salsa which is a beautiful red toned pink which i think is a shade that can be rocked all year round and the quality is just as good as Mint for life. 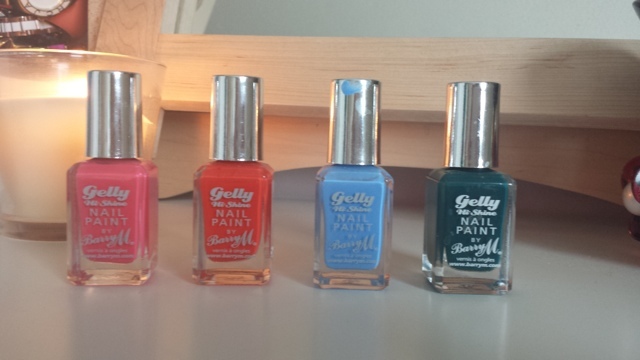 The colour range is pretty good and I am going to be buying more polishes from this range! I have Satsuma, Grapefruit, Watermelon and Blueberry. Everyone and their cat loves these gel based nail polishes and I am know different! The colour range is amazing and they are forever bringing out new shades. The quality and the finish of these nail polishes are perfect and I am a big fan! I secretly want to own the whole colour collection! Satsuma and Blueberry are spring and summer colours but I can not wait to start wearing watermelon again. I have 2 products that are not worth the hype and attention. I have the shade Luna but after trying this shade I am reluctant to try any of the others. The formula did not agree with me and it made my lips look dry, bitty and glossy all in one. I'm not a big fan of the colour range either to be honest and I don't think I'll be purchasing anymore. I have heard great things about this concealer and how much everyone loves it and it is the best! But... It's not for me! It's very drying on my skin and makes me look worse after using it. The colour is slightly too orange for my skin tone and it just does nothing for me! Sorry Collection Lasting Perfection Concealer lovers! 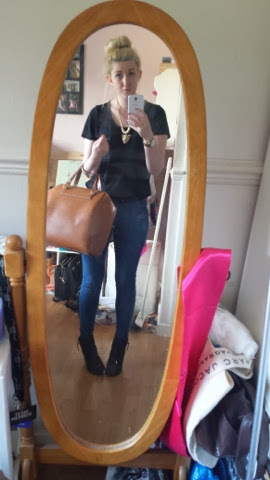 I am going to split my August Haul into Beauty and Fashion because I have bought a lot this month! Surprisingly I also saved money for the first time in like 5 years... So August has been pretty good for me! 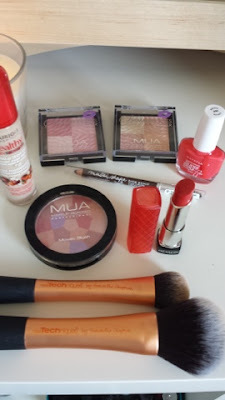 I bought a few MUA products from my local Superdrug and I wanted to try out some new blushers. I got the MUA Shimmer Kisses in the bronzer and the blusher. 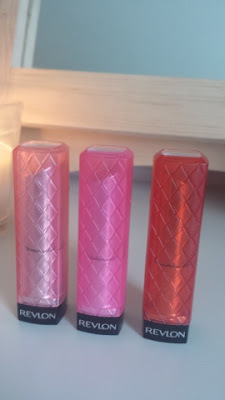 Since I purchased these I have hit the blogs to see what other people thought and I've discovered they are more of a highlighter... 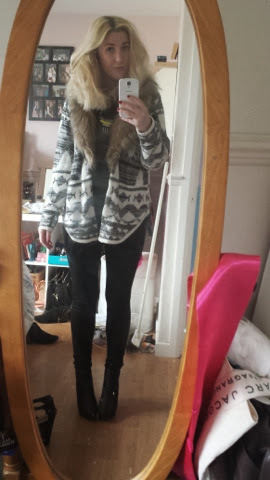 But for like£3 I'm okay with that! I also got the MUA Mosaic Blush in English Rose, this leaves a very pale pinky colour on the cheeks but I've only used it a few times so I'm open to trying it some more! This was £2.25 I think which is a bargain! I have heard some amazing things about the Bourjois Healthy Mix Serum Gel Foundation and it was top of my wish list! I am a firm believer that the foundation you use on your skin must be of a high quality and for that reason I am usually drawn to luxury high end brands, however, bloggers have been raving about this stuff so I decided to pick it up! 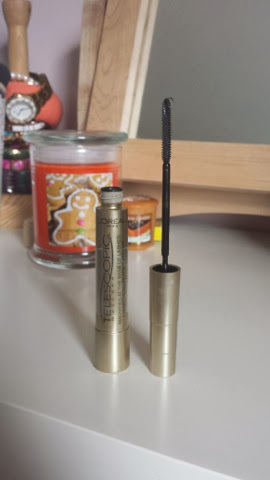 I've only been using it for a couple of weeks but I am head over heels in love with this! I got it in the shade 52 and it is perfect on my skin and feels so light weight and the coverage is perfect! Go get this foundation!! 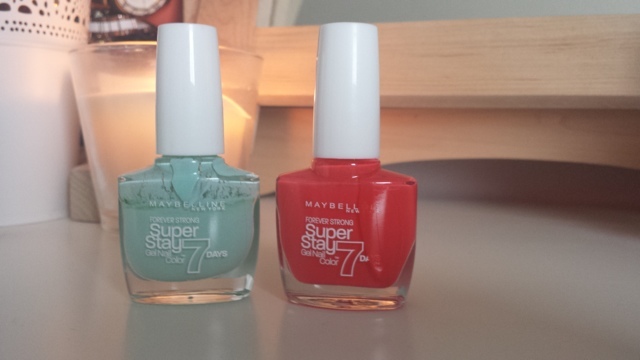 I already have the Maybelline Forever Strong Super Stay Nail polish in Mint for Life and it is actually one of my favourite formulas, so I picked up another colour to try called Hot Salsa and I Love it! It's a colour I would wear all year round and it is this pretty pinky red. The Revlon lip butters get a lot of hype online so I wanted to see what all the fuss was about! I picked up the shade candy apple which is a sheer red which can be worn casually or on a night out! The formula is creamy so i did find that you had to apply a couple more coats throughout the day. I do like this product and I did pick up 2 more shades yesterday when I was shopping in boots, Sorbet and Strawberry shortcake. It has been like 2 months since I had my eyebrows professionally waxed so I have been tweezong them to save me some money. I usually get them done at the Benefit Brow Bar and they do such an amazing job at creating that benefit arch! To fill in my brows on this low maintenance period I picked up the Maybelline Master Shape Brow Pencil in Soft Brown! I haven't really used this yet to give you a review but I will do very soon! 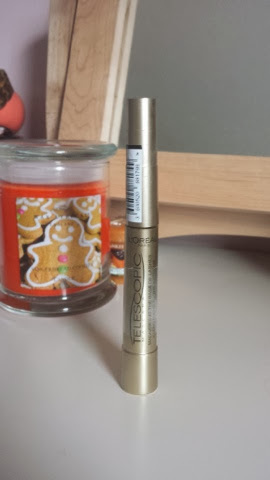 One end has the brow pencil and the other has a brush for combing through those messy brows! One of my favourite purchases, which I have already done a blog post on, are The Real Techniques Powder Brush and Expert Face Brush! I can not rave enough about these amazing brushes so check out my full review of my brush collection in my other blog post! I also picked up these two soap and glory products this month on a 3 for 2 offer... Just realised I forgot to include the 3rd item, Scrub your Nose in it. 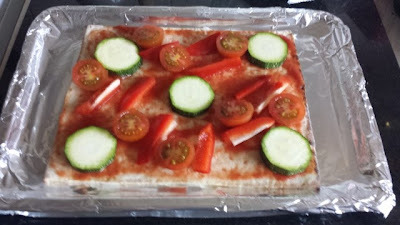 That product is so amazing I think I will review it for you guys! Anyway, I picked up the Breakfast Scrub which is something I have wanted to try for ages! It smells delicious and I want to eat it every time I use it! I love it and I feel that it gives me skin a deep scrub without drying it out. 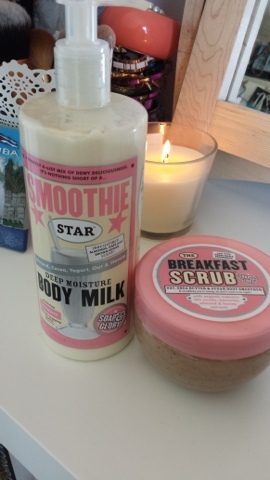 The final beauty that I bought this month is the Smoothie Star Body Milk. This smells like cookies and cream and I can not wait to start using it! I want to finish off my body shop body butter first before I start using this one but I can tell it is going to be a favourite of mine.